The Lifetouch story began in 1936, when Bruce Reinecker and Eldon Rothgeb made plans to bring their “School Photography of Distinction” to one-room schoolhouses. A little more than a decade after its founding, National School Studios had become the largest school photography company in the country. At Lifetouch, we consider it a privilege to capture precious memories for millions of individuals, families and organizations, representing one out of every two students nationwide. For 80 years, Lifetouch has been seizing the spirit of today and preserving memories for tomorrow with quality childhood, student, graduate, and family photographs. Lifetouch provides professional portraits for preschools and schools, college and university graduates, houses of worship, and the retail market. With operations in all 50 States & Canada, Lifetouch is the largest school portrait and yearbook publishing company in North America. Since 1977, Lifetouch employees have owned the company through the Lifetouch Employee Stock Ownership Plan (ESOP), allowing more than 17,000 employee owners to share in the financial success of Lifetouch. Employee ownership provides employees with the opportunity to achieve retirement security in an environment that inspires teamwork, accountability, and higher productivity. Many of our college and university commencement clients have been with Lifetouch for over 20 years. 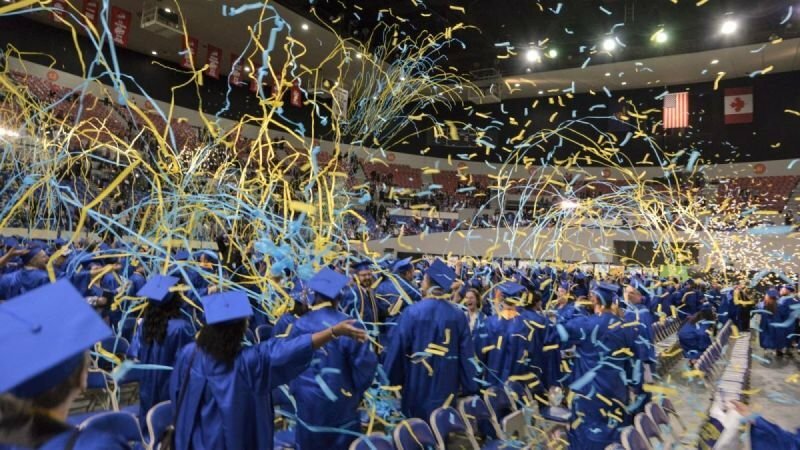 At many schools and institutions, Lifetouch helps out in a consulting role to ensure that commencement ceremonies run smoothly. With years and years of experience at many different ceremonies, Lifetouch brings its knowledge and expertise to the problems encountered by college and university registrars or by high school administrators. You will know your photographers personally, and they will work with you to ensure that we fulfill your commencement photography needs. We value face-to-face meetings and site visits to ensure we photograph your ceremonies to the specifications you require. You will always have a person you can contact at any time with feedback or suggestions. We give out our personal cell numbers to our clients for last-minute emergencies or contingencies. We will never reduce your ceremony to a “cookbook” format. Your school has its own set of traditions to be honored and photographed in its own way. We love commencement photography and pride ourselves on the outstanding job we can do for your school.